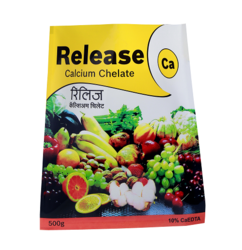 Based in Nashik (Maharashtra), we have done exceedingly well in the sphere of manufacturing and supplying Micro-nutrient Fertilizers, Fertilizers for Organic Farming, Plant Growth Regulators, Humic Acid 12% & Super Potassium Humate, Spray Adjuvant, Fungicides and Bio-pesticides. 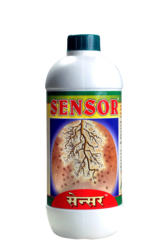 These micro-nutrients & fertilizers are used for various applications like seed treatment, root dipping, fertility restoration and soil nutrient management. 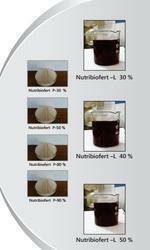 We provide complete nutritional support to the plants. 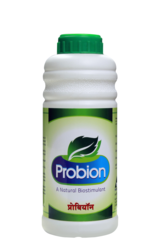 We ensure that these Micro nutrient fertilizers and bio pesticides are manufactured as per the industrial standards. 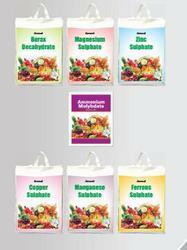 These micro nutrients & Organic fertilizers are also tested for quality before being supplied to our clients who are based in every nook and corner of the country. 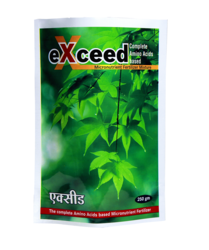 We are the pioneer to introduce Amino Acid Based Micro nutrient Fertilizer mixtures in India with the brand name "EXCEED". The product "Exceed" is very much popular among the farming community across the country. 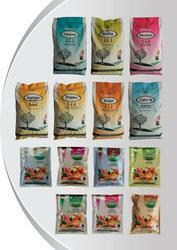 It is used almost in all cereals, pulses, vegetables, fruit crops, spices, oil seeds, floriculture etc.